Land-use planning in complex landscapes is a major challenge. Meeting the needs and desires of multiple stakeholders competing for the same area of land is never easy, and this is especially the case for tropical forest landscapes. Some stakeholders focus on the conservation of biodiversity, others on the maintenance of ecosystem services and there is usually strong demand for the development of forestry and agriculture and their perceived economic benefits. It is challenging but it can be surprising what you can achieve when you incorporate these multiple expectations into the same plan that seeks to maximise everyone’s expectations. Our modelling of land-use planning in mixed tropical forests in Indonesia has shown how it is possible to achieve good biodiversity outcomes while still meeting production expectations and carbon mitigation targets. Land-sparing and land-sharing have emerged as contrasting strategies to manage the trade-offs between production and biodiversity conservation in such landscapes. Land sharing refers to production done simultaneously with conservation (on the same land). Land sparing refers to setting aside land in one place where conservation is maximised while maximising production over the rest of the land. Both strategies are evident in land-management policies in many places around the world. 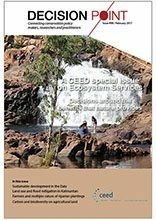 However, studies rarely report on the impacts of these strategies for multiple stakeholders and multiple ecosystem services, particularly in real landscapes. We set out to do this. 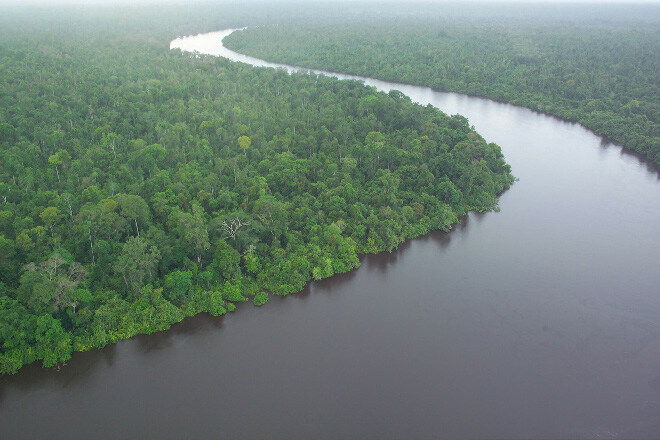 Our study focussed on a multifunctional landscape in Central Kalimantan, Indonesia. The region we looked at is being considered for forest protection, restoration and rural development. We analysed 10 alternative policy scenarios of how the land might be used. These included land-sharing, land-sparing and mixed strategies (Law et al, 2016). We developed a novel optimisation process that identified ‘production possibility frontiers’. Production possibility frontiers show the maximum outcomes possible when land allocation is optimised for different purposes. We used these to highlight the trade-off between smallholder agriculture and oil palm, subject to the achievement of a set of carbon, timber and biodiversity conservation targets. We found that mixed strategies gave the greatest flexibility to achieve targets, followed closely by land-sparing. The strategies assessed required a minimum of 29–37% of the land to be placed in conservation zones, and these areas would need to be actively managed to reduce the occurrence of fire. To achieve biodiversity targets, these zones would need to protect the majority of remaining forest, but might require little reforestation. All 10 policy strategies assessed in our case study are capable of achieving all stakeholder objectives, provided around a third of the landscape is conserved for biodiversity. What’s more, in demonstrating this for the Ex-Mega Rice Project, we have shown that our novel methodological approach can provide practical options for the systematic analysis of complex, multifunctional landscapes. When integrated within a larger planning and implementation process, our technique could inform the design of land-use policies that maximize stakeholder satisfaction and minimize conflict. And see Elizabeth’s blog for more details on the paper and on the methods applied.